Lisa Wingate has written an e-short Christmas story, A Sandy’s Seashell Shop Christmas, and it’s only $0.99. Proceeds will help fund a donation to Operation Military Kids, which serves military children who are dealing with the deployment of a parent. A magical place, an island Christmas eve, a broken family in need of healing…. For young military widow, Tiff Riley, Christmas isn’t just another day. It’s the worst of all days. Hiding out on Hatteras Island with three-and-a-half-year-old Micah, she’s desperate to once again ignore the anniversary of tragedy. 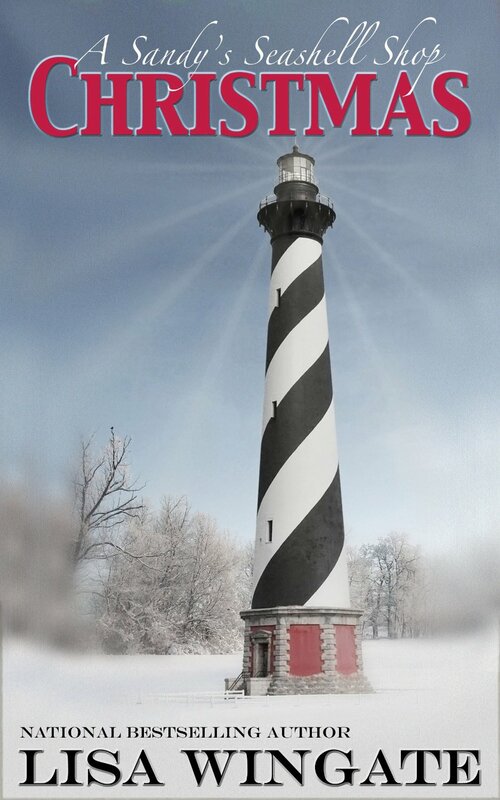 The winter-season quiet of North Carolina’s Outer Banks is the perfect place to escape. It never feels like Christmas at the beach. But in tiny Hatteras Village, the crew at Sandy’s Seashell Shop is determined to make sure no one is forgotten at Christmas. Is it possible for a magical Christmas Eve at the Seashell Shop to help mend one damaged life? On a night of miracles, in a place of miracles, can a young widow’s heart be reopened to joy, hope… and even love? I adore this special little story! A Sandy’s Seashell Shop Christmas is a Christmas tale that warms your heart and begs to be read again and again! Lisa Wingate once again brings the wonderful residents of Fairhope to life, as they share a magical Christmas Eve with a young military widow and her little boy. Brimming with hope, healing, and the magic of Christmas, this little story is the perfect holiday read! Purchase a copy of A Sandy’s Seashell Shop Christmas today! When Iola Anne Poole, an old-timer on Hatteras Island, passes away in her bed at ninety-one, the struggling young mother in her rental cottage, Tandi Jo Reese, finds herself charged with the task of cleaning out Iola’s rambling Victorian house. Running from a messy, dangerous past, Tandi never expects to find more than a temporary hiding place within Iola’s walls, but everything changes with the discovery of eighty-one carefully decorated prayer boxes, one for each year, spanning from Iola’s youth to her last days. Hidden in the boxes is the story of a lifetime, written on random bits of paper–the hopes and wishes, fears and thoughts of an unassuming but complex woman passing through the seasons of an extraordinary, unsung life filled with journeys of faith, observations on love, and one final lesson that could change everything. Tandi Jo Reese, a young mother with two children, has run away from a difficult past. The Outer Banks of North Carolina is as far away from Dallas, Texas as she can get. Here, Tandi seeks refuge in the only place she felt safe and loved as a child. Memories of childhood days, spent with loving grandparents, flood Tandi and leave her hoping for something better for herself and her children. Finding temporary lodging in a guesthouse, Tandi Jo does not come to know her landlady, Iola Anne Poole, until after Iola’s death. Desperate to find a way to make a fresh start, Tandi agrees to help sort through the Iola’s belongings and clean out her dilapidated house. Through the discovery of eighty-one prayer boxes, Tandi comes to know Iola Anne Poole and her loving Father. The thoughts and prayers of one woman, recorded over her lifetime, open Tandi’s eyes and her heart. In discovering the woman Iola was, Tandi Jo Reese discovers the woman she, herself, will become. 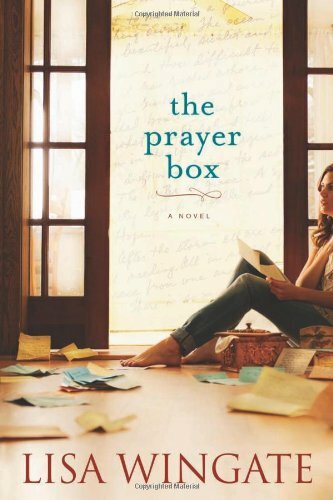 While The Prayer Box is a beautifully written novel of a young woman trying to find her way in life, it is also a story of faith, hope and redeeming love. Once again, Lisa Wingate has eloquently woven love and the lessons we learn into the fabric of her newest novel, The Prayer Box. Don’t miss this incredible journey!